You need gear to go backpacking, and backpackers need gifts, so here are our 35 best gifts for backpackers. Photo location? Ship Island Lake. We’re here to help you find the best gifts for backpackers in 2018. A lot of backpackers like to upgrade one major piece of backpacking equipment every year, which lets them replace old and heavy gear. If you can figure out which major piece of backpacking gear your backpacker wants to upgrade, you’re on your way to finding a great backpacking gift. For instance, if your backpacker needs a new backpacking sleeping bag, choose a new ultralight down sleeping bag like the incredibly versatile Feathered Friends Flicker 20 Nano for an awesome backpacking gift. If you remember that your backpacker complained about sleeping, it’s time for a cushy new air pad. And every backpacker can benefit from one of today’s new hydration systems: Some of the hottest backpacking gifts — and gifts for hikers this year — are water bottles with built-in purification systems. They’re just so damn handy most any outdoor enthusiast will use them. One item you won’t see on this list is an actual backpack. Why? Sizing. Sometimes even tall backpackers have short torsos, so it’s hard to get the size right with a surprise gift — you’ll have to make a small, medium or large decision. If you’re set on a backpack, though, the Osprey ATMOS AG 65 (men’s) and AURA AG 65 (women’s) backpacks are pretty amazing and hit a versatile sweet spot. And here are this year’s best gift ideas for backpackers. . . . 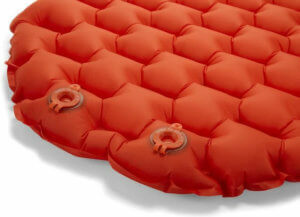 The new lightweight inflatable sleeping pads are more like air mattresses than pads — amazing. Everyone sleeps a little differently, but the best might arguably be the Therm-a-Rest Neo Air Xtherm. It weighs just under one pound, is 2.5-inches thick, and 72-inches long . . . and it’s insulated to give you a whopping 5.7 R value, which helps on really cold nights and makes it one of the most versatile pads for the weight. If you need an entry-level option that is surprisingly good, the best value is the Klymit Static V2 — it’s 3 inches wider than the Neo Air Xtherm and weighs just 17 ounces. At 2.5-inches thick, it’s plenty thick for all but the most sensitive princess sleepers. Our current favorite midrange sleeping pad — which does most everything right — is the new REI Co-op Flash Insulated Air Sleeping Pad (review here). For more detail about the best backpacking sleeping pads for 2018, read our 10 Best Sleeping Pads guide. We’ve had more than a few backpacking trips rendered uncomfortable by hordes of bloodthirsty mosquitos as our DEET-based bug repellent sprays ran out — not to mention the fact that we’re not fond of spraying ourselves with chemicals. And who likes to hike 10 miles into awe-inspiring mountains only to retreat to the safety of their tent? One of the best parts of backpacking is hanging out with your friends and family, lounging in the backcountry, telling stories and enjoying the wide-open views. The ThermoCELL Backpacker Mosquito Repeller creates a 15 x 15-foot zone of protection for you to hang out in. 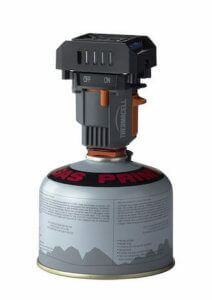 At just 4 ounces, it connects to standard backpacking gas canisters and lasts for up to 90 hours. Better yet, you can use this little device at picnics and barbecues, too. There are several different kinds of backpacking stove systems, but since you’re looking for one of the best gifts for backpackers, odds are you want a fuel canister-based stove. These stove designs are simple, light, and backpackers can find the fuel canisters at any sporting goods store and even at gas stations near popular trailheads. We’re fans of the Snow Peak Giga Power Stove with Auto Start. It lights easy, is small and durable, adjusts well, is super versatile and the price is right. Hard to go wrong here. The Jetboil Flash Personal Cooking System is also highly desirable — it boils water in just two minutes, which saves on fuel. It’s a particularly good gift for a backpacker who already has a traditional stove and has hesitated to make the move to Jetboil because the other stoves still work. The JetBoil Flash is a great system, and most everyone appreciates it once they start using it. If your backpacker is traveling outside of North America and/or is starting to get into winter backpacking, the MSR WhisperLite Universal Stove is the way to go: It works with canisters, white gas, kerosene and even unleaded gasoline. Pretty amazing, really. For North American backpacking — or places with relatively clean water — you can’t beat the cost-effective and durable Katadyn Hiker Microfilter. It filters out bacteria and it’s quick, durable and easy to use. It does not, however, filter out viruses — which are typically found in international locations. The MSR Guardian Purifier filters viruses, too, but it’s spendy if you don’t truly need it. So, for international travel backpacking, it’s hard to go wrong with a cost-effective and more portable ultra-violet light system that kills both bacteria and viruses like the SteriPEN Classic 3 Water Purifier with Prefilter. There is one last category of water filtration you might consider, and that’s gravity filters. 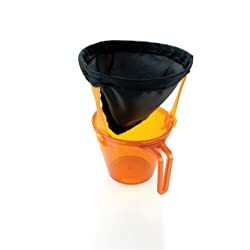 These filters let you fill up a bag with dirty water, which you elevate so that gravity pulls the water through a tube and filter and into a clean water bag. They’re great for larger backpacking groups. If you have a backpacking leader who sets up group trips, the Platypus 2L GravityWorks Filter is a cool backpacking gift. A water bottle with a built-in filter or purifier isn’t usually used for longer backpacking trips, but it makes for a great backup water filter. In addition, backpackers are often hikers, too, and having a water bottle that can filter most any water on the go is a gift most backpackers and hikers will appreciate. Wait, there’s more: Even if you leave one in your vehicle, you won’t be limited by what you packed with you on your outdoor adventures. That’s versatility we appreciate. Our favorite is the LifeStraw Go Water Bottle, which filters 99 percent of waterborne bacteria, as well as the Katadyn BeFree Collapsible Water Filter Bottle, which is lighter and, well, collapsible. Titanium is the wonder metal of backpacking. 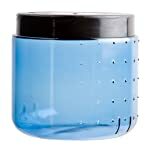 It’s super durable and super light and is a worthy replacement for heavier stainless steel pots and cups. We like the TOAKS Titanium 1600ml Pot with Pan — or the TOAKS titanium 550ml Pot because it’s big enough to boil water for meals but small enough to use for drinking hot coffee. While you can hang your food bag high in a tree with a rope when you’re in bear country, it’s much easier to use a bear can — you don’t have to find a suitable tree or have any rope throwing skills whatsoever. While convenient, bear cans also protect your food from rodents as well as keep your food dry. These factors make a bear can one of the best gifts for backpackers — even if you’re not backpacking in bear country . . . because rodents are pretty much everywhere. Of course, some wilderness and park areas actually require bear cans. Get the Bear Vault BV450 Solo Bear Resistant Food Canister. 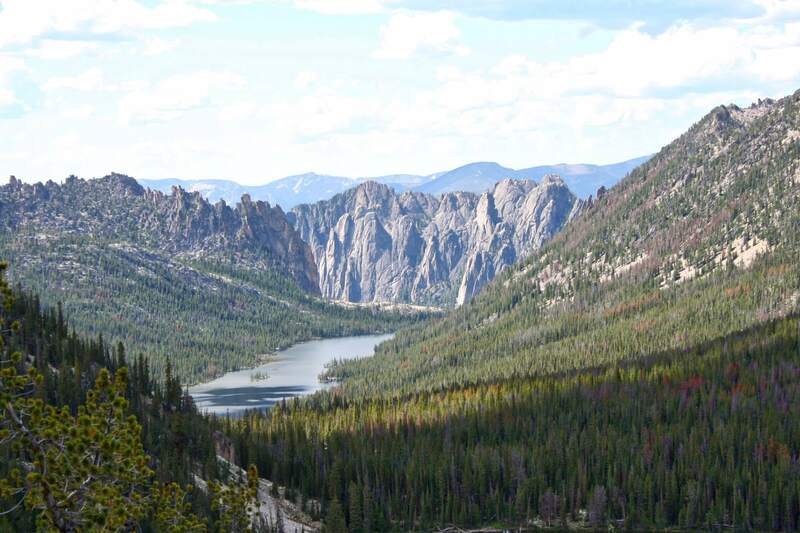 It’s awesome and will give your backpacker a new option for bear country. Every backpacker should have a light and basic first-aid kit, and sadly, many don’t. Tell your backpacker you care, so get one pronto. Because many backpackers forget first-aid kits or skimp on quality, a first-aid kit is also one of our favorite gifts for backpackers, and in 2018, you’ve got some really great options. We like the Adventure Medical Kits Ultralight & Watertight .9 Kit. It’s just 7.2 ounces, sheds water and can handle minor injuries for 1-4 people. For a bit more protection in a bag that includes enough room to add in some extras, it’s nearly impossible to go wrong with the Adventure Medical Kits Mountain Series Backpacker Medical Kit. Buying Tip: The Adventure Medical Kits Mountain Series Backpacker First Aid Kit ships free from L.L.Bean. A good backpacking sleeping bag can make or break a trip. Down bags are the best — lighter and warmer than synthetics — but they cost more. 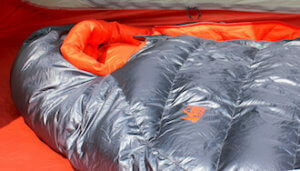 One of the best backpacking gifts is the popular entry-level Klymit KSB 20-degree down sleeping bag. It’s 2.75 pounds, uses water-resistant hydrophobic 650 fill power down and features stretched baffles that first appeared on much more expensive down bags. Perhaps the very best drool-worthy bag is the Western Mountaineering Alpinlite or the roomy Megalite. The best traditional mummy-style down sleeping bag for 2018 that also boasts a sweet midrange price-to-value ratio is the REI Co-op Magma, which comes in both a men’s and a women’s version. Finally, our most versatile sleeping bag pick is the Feathered Friends Flicker 20 Nano Down Quilt Sleeping Bag — you get the zip-up qualities of a mummy bag with the unzipped qualities of a down quilt. As a bonus, your backpacker can even use it as an underquilt for a backpacking hammock system. Sleep is critical in the backcountry, and while you’re usually exhausted enough to sleep pretty much anywhere, quality sleep helps. Air pillows are a lightweight comfort that backpackers often fail to splurge on for themselves — so they make great stocking stuffers for backpackers. The ultralight Sea to Summit Aeros Pillow Premium offers what is arguably the best cushion and feel in a pillow that weighs less than 3 ounces. It has a great feel and overall design, and if it fits your budget, stop now and choose it. 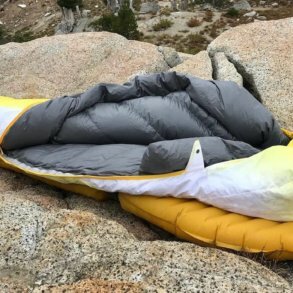 If you’re a little unsure about the price-to-value ratio, the Klymit Pillow X Inflatable Camp & Travel Pillow weighs in at 1.95 ounces and costs less — but still has a great build quality. Ah, tents. Every backpacker wants to try a new, lighter, roomier tent . . . but they tend to upgrade slowly due to the cost. 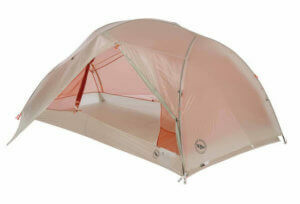 For a super surprise, get a Big Agnes Copper Spur Platinum Tent. It’s roomy, has two doors, two vestibules and the trail weight is just 2 lbs 5 oz. What about a great entry-level tent? The REI Half Dome 2 Plus Tent boasts high-end features at a super price. If you need to learn more about great entry-level tents, check out 7 Best Backpacking Tents for the Money. If you’re looking for an ultralight upgrade, check out 10 Best Backpacking Tents. Here’s a gift that your backpacker probably does not already have — a hammock. The new hammocks are super light and offer an awesome way to kick back and enjoy the view after a long hike. You really have two options here: 1) You can choose just an ultralight hammock, which is great for napping or sitting, or 2) choose a full hammock system, which includes a bug net and rain fly so your backpacker can sleep outdoors no matter the weather. It’s pretty much impossible to go wrong with the durable Eagles Nest Outfitters SingleNest Hammock or ENO DoubleNest Hammock. For a super light option, go with the 6.5-ounce ENO Sub7 Hammock. Note: You’ll want to also nab a set of ENO Atlas Straps so your backpacker can hook the hammock up to trees. As for a full hammock tent-like system, start with Hennessy Hammocks. The Backpacker Classic is great for those up to 6-feet tall and weigh less than 200 pounds. For taller backpackers, go with the Explorer Ultralite Series. 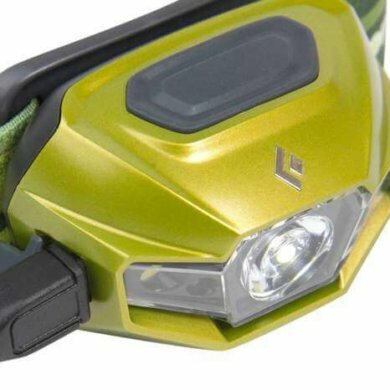 Your backpacker may already have a headlamp, but upgrades are always welcome. While the basic design hasn’t changed in years, newer options put out more lumens of light and they do it through clearer, better lens systems. 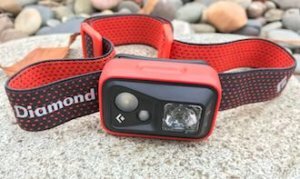 The Black Diamond Spot is pretty much the best all-around headlamp for most backpackers. It’s lightweight, can shed rain, has good battery life and is suitably bright with a max output of 300 lumens. It also has a red light mode which can protect your night vision. While there isn’t much reason to stray from the Spot for most backpackers, the new Black Diamond Iota is rechargeable from a USB car charger or portable battery charger, which is undeniably handy. Remember the water filters? The MSR TrailShot Micro-Filtration System is a surprisingly great fast-and-light filtration system that doesn’t require bags or sucking (like through a filter straw) to use. It’s a small hand pump system, and it excels for those who take long hikes or are into trail running. You can pump directly into your mouth or quickly fill your water bottle. Even if your backpacker already has a different filtration system, most backpackers who engage in a variety of outdoor sports — like hiking or rafting — will appreciate the MSR TrailShot Micro-Filtration System. The REI Drypoint GTX uses GORE-TEX Active fabric for ultimate waterproof breathability. 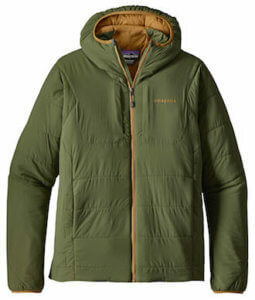 A good rain jacket is a must-have item for trekking into the backcountry where temperatures can plummet. Staying dry can save your life, and layering clothes underneath a waterproof layer can get you through some seriously cold weather. Try the Marmot PreCip, which is one of our long-time favorites with a can’t-go-wrong price-to-value ratio (women’s version here). An entry-level rain jacket is always better than no rain jacket — like the cost-effective White Sierra Men’s Trabagon Jacket. If you can find and/or afford some pants, get those, too, but the jacket is most important. Meanwhile, if your backpacker is tall with longer arms, the solid L.L.Bean Trail Model Rain Jacket comes in Tall sizes. As for sweet rain jacket upgrades, which means you get ultralight fabrics that are also more breathable to let water vapor escape while your backpacker is sweating during a slog up a steep trail, get the awesome Arc’teryx Beta SL Hybrid (women’s here) or the ultralight 6.5-ounce Outdoor Research Helium II (women’s here) or price-to-value winner REI Co-op Drypoint GTX. 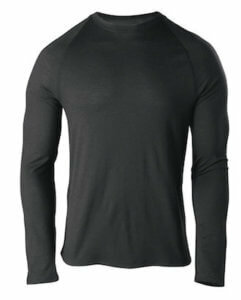 Previously known as long underwear, wool base layers simply provide the best warmth and heat regulation, in addition to naturally fighting funky smells when worn a few days too long. Every backpacker would love to have a set of merino wool base layers — bottoms and a top — plus they’re great for winter sports like skiing, snowboarding and snowshoeing. Merino wool is a can’t-go-wrong material for backpacking, especially for long trips, which makes it a great backpacking gift. 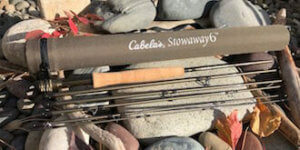 The best options usually come from IceBreaker and SmartWool but Cabela’s is now offering competitively priced tops and bottoms. Tip: Shop previous season ‘base layers’ at Sierra Trading Post for great savings. Smartphone cameras are fantastic, but battery life in the backcountry can be a challenge. Not to mention durability or needing to save a bit of smartphone battery to call for emergency help. Enter the rugged waterproof camera. These little cameras take great photos, can shoot excellent video of baby mountain goats (we wish we had one on hand for this video), and have batteries that will last an entire trip, letting your backpacker capture the photos of a lifetime — as well as pause for some close-ups of wildflowers. Better yet, they’re waterproof which means your backpacker can use them kayaking, paddle boarding, rafting or fishing. The good ones also have built-in GPS to log your location. 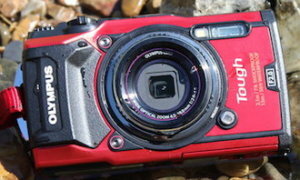 Our current favorite is the Olympus Tough TG-5. Read our full review for more detail. 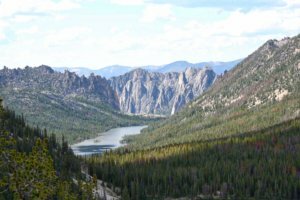 A packable lightweight fishing rod can bring a great diversion to a hike into a mountain lake, which often have trout — and sometimes very large trout. After making the mistake of leaving a rod behind, we always have at least one rod on all trips. Get the best-buy Cabela’s Big Horn Combo in the 8-foot, 4-weight model in four pieces, or the Cabela’s Stowaway 6 Combo for ultra-packable excellence in a 3-weight for smaller fish or the 5-weight for overall versatility. For spin fishing, we like the super light and simple Shakespeare Travel Mate Telescopic Rod & Reel Combo. 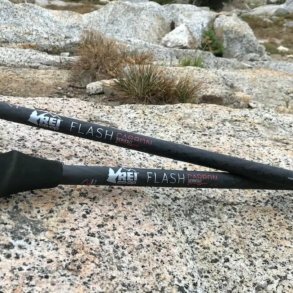 One last point here: While a packable fishing rod can be a coveted backpacking gift, they also make great backup rods for any fisher. For the gadget lover or trekker who goes off the grid for weeks at a time, a portable solar panel can provide juice for smartphones, GPS devices, satellite communicators, and even headlamps. For longer off-grid activity, a solar panel could be the key to charging a smartphone enough to call 911 and save a life. The Goal Zero Nomad 7 Plus Solar Panel is a solid value and works well while the BioLite SolarPanel 5+ includes a built-in battery, which means you can hang this off your backpack during the day and then charge your phone from the built-in battery at night. Of course, you can charge your phone or an extra battery — see below — with the Goal Zero easily enough, too. For more casual backpackers unlikely to be off the grid for more than a few days, it’s usually more efficient to simply pack along an extra battery pack or two, like the cost-effective Anker PowerCore 20100 or Jackery Bolt, both of which also make excellent backpacking stocking stuffers. 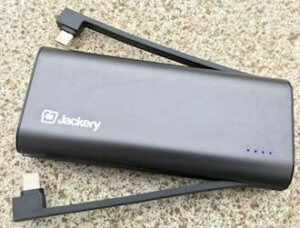 We like the Jackery Bolt in particular because it has built-in Lightning and Micro USB connections, along with a built-in little flashlight. There are tons of battery charger options out there, of course, some of which are ruggedized and waterproof. Are the rugged, waterproof versions worth the extra cost? Not usually to us — you can make an inexpensive battery charger pretty darn protected with a Ziploc sandwich bag. Or two bags if you’re particularly worried. The hot summer sun might seem far away right now, but lightweight water shoes make surprisingly good backpacking gifts. Why? After a long day on the trail, mesh water shoes offer ultimate breathability for tired feet. Plus, you can fish in them or use them to cross a creek without getting your leather backpacking boots wet. They’re fantastic. You could settle for something like the ultralight Crocs Swiftwater Wave, of course, but our current favorite all-around water shoe is the Columbia Drainmaker IV. Need another reason why we like water shoes for backpacking? They’re a backup in case your hiking boots create blisters or outright fail on the trail. Sure, this is a rare occurrence for experienced backpackers, but we like a backup when we’re testing out new boots or haven’t put sustained mileage on a new pair before a long trip. Besides, we like to fish! To learn more, check out our guide, 10 Best Water Shoes. While backpackers don’t want extra weight, sometimes they ache for a set of binoculars to watch a mountain goat frolic on the side of a cliff. The compromise? A monocular. A decent monocular will let your backpacker see things they’ll never see again. Get the Vortex Optics Solo Monocular . . . it has a great blend of optical and build quality in a small size at a fantastic price. It also has a no-questions-asked replacement warranty if you drop it down a rocky trail and break it. All-in-all, monoculars are thoughtful-but-different backpacking gifts for backpackers who have everything. Weight is of the essence, so it’s important to choose a functional-but-light multi-tool. We’re big fans of the Leatherman Sidekick Multi-Tool because it’s big enough to be useful but light enough to pack and we think it has the best overall value for your dollar in the Leatherman multitool lineup. Plus, we really like the saw blade for backcountry emergencies. For a bit more compact option, consider the Leatherman Juice CS4 Multi-Tool. Last of all, if your backpacker or hiker is somewhat forgetful — and might forget matches, which are usually critical for survival situations — choose the Leatherman Signal. It includes a built-in fire starter and emergency whistle and it’s easy to clip onto your backpack. As for the fire starter, it’s also handy for lighting a backpacking stove if your electronic ignition spark system fails. 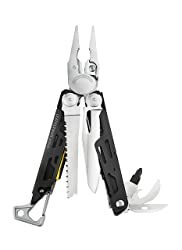 We know we just said “last of all” above, but we almost forgot a multi-tool option that could be a fantastic gift for backpackers who seem to have everything: The Leatherman Skeletool ‘Topo’ Multi-Tool. This version is an REI exclusive and it features a topographical map laser-etched blade. So cool. A staple for backpackers is freeze-dried food. It’s lightweight and cooks when you pour boiling water into sealable packages, making it easy to heat and easy to eat (hence the long spoon noted above). Mountain House is generally good and Backpacker’s Pantry is a bit better for spicing it up every now and then. All the cool kids are geeking out over Hydro Flask insulated stainless steel water bottles, coffee mugs, wine bottles, beer growlers and food flasks. The key here is that most backpackers have the kinds of personalities that will appreciate most any Hydro Flash product because they work well and are made with fantastic overall style and quality — so you could shop Hydro Flask for most any of their products and make your backpacker happy even though most backpackers won’t actually take them backpacking due to their weight. 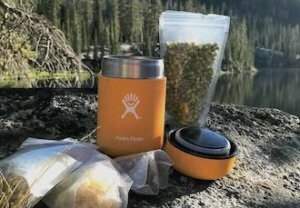 As for the food flask, your backpacker probably goes on day hikes and is adventurous in other outdoorsy ways, so having a high-quality stainless steel Hydro Flask Food Flask to keep soups, chili or pasta hot is generally appreciated — even if it’s getting eaten at the trailhead or the parking lot on a ski hill. 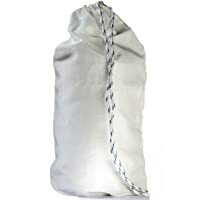 Compression sacks let you cram clothes or sleeping bags into very small spaces, pushing out the air. They are super handy for backpackers, and it’s hard to have enough of various sizes. Even if your backpacker already has a couple, having an alternate size or type is nice, especially as they gear up their friends to go with them. If your backpacker is heading out into rainy country, get a dry-sack type. We’ve learned that hot and fresh coffee on the backpacking trail is well worth the effort. First, there’s the warmth on a cool morning. Second, there’s the coffee, which is fantastic, and third, there is the caffeine. When you add high altitude and a bit of dehydration after a long hike, we’ve seen coffee drinkers hammered by caffeine withdrawal headaches the next morning. The best answer? A lightweight coffee filter that fits over your titanium mug. Depending on your choice, a paper filter can be handy, but it isn’t necessary for those that have fine mesh filters built in. If you’re not sold on a coffee maker, you can always go with instant coffee, which works well as stocking stuffers. Just know that if your backpacker loves coffee, go with a filter option instead of the instant packages. Ultralight down jackets are great for backpacking, but the Eos works — and looks — just as great in town as it does in the wilderness. 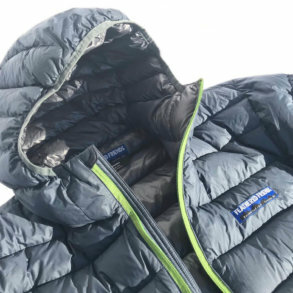 If your backpacker doesn’t already have an ultralight down jacket — and odds are, he or she does not — a down jacket makes a fantastic backpacking gift. Why? First, they’re ultralight. You can easily find one for under 10 ounces. Second, they’re ultra packable. You can compress a down jacket into a tiny ball and forget that it’s in your backpack — until you need it. One morning in early August, in an area at 7,000 feet up in a spot that’s usually pretty warm, the mornings were brutally cold. We had three grown men trying to wear their sleeping bags outside in the morning, trying to stay warm. We would have appreciated a down jacket right then. 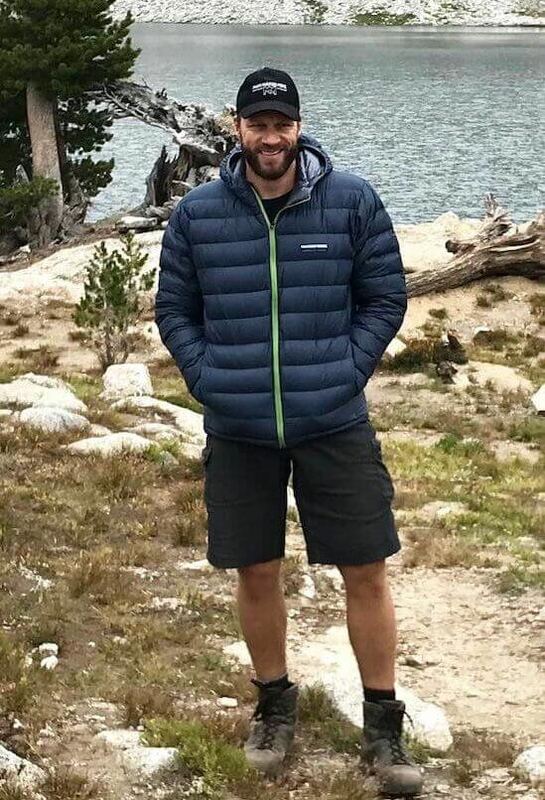 Meanwhile, down jackets look great, work for other outdoor pursuits, and will be used by most any backpacker who heads out in late summer and early fall to any high-mountain trail. 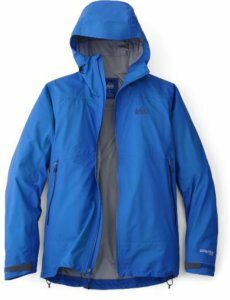 Check out our comprehensive best down jacket gear guide for more detail, or just pick one of the three below that fits your price range. 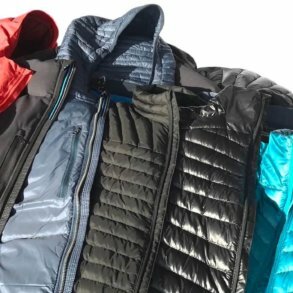 All the things we said about down jackets mostly apply to ultralight synthetic jackets, too. The key thing about synthetic jackets is that they tend to be slightly heavier than down jackets and they don’t quite insulate as well . . . but they have one major edge: They retain their ability to insulate far better than down when they’re used for high-activity sports. Basically, if you’re working hard, you’re producing a lot of moisture underneath your layers even when you don’t feel a lot of sweat. Synthetics can handle this moisture better than down. In addition, because a synthetic jacket doesn’t have to have a tight fabric shell weave to hold in tiny feathers, it’s easier to make them with stretch fabrics that help with mobility. If your backpacker is a hard-charger and gets into other highly active winter sports, you can’t go wrong with the Patagonia Nano-Air Insulated Hooded Jacket. Seriously, it’s that good, as is the non-hooded options for both men and women. Other manufacturers have produced their own competing versions at similar prices, the most compelling of which is the Arc’teryx Atom LT Hoody; however, the new REI Co-op Activator SI is pretty darn good at a price point that is $100 less than most of the high-end competition, and from what we’ve seen so far, we’re fans of the fit and mobility — full review coming soon. While you can buy dehydrated food and freeze-dried meals in bags, lots of backpackers prefer the quality you can get when you dry your own food. Pretty much anyone can dry apples, bananas, and other fruits — and dried fruit is a fantastic backcountry snack. Some dehydrators get hot enough to safely make your own beef jerky, too. Either way, backpackers and outdoor adventurers will likely be interested in drying their own fruits to take backpacking — or just to eat around the house. 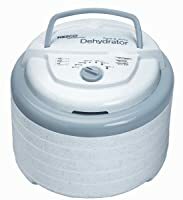 Hard to go wrong with the Nesco FD-75A Snackmaster Pro Food Dehydrator. If you do a good job of hanging your bag over a tree limb, all but the smartest of bears won’t be able to reach it. Some bears are smarter than the average bear, though, and sometimes your hang isn’t perfect. In these situations, you want a bear-resistant bag that even a bear can’t bite through. For that, the Ursack S29.3 Bear Resistant Sack Bag is the right choice. It will hold enough food for one person for about five days. For more capacity, go with the Ursack S29.3 MAJOR. If your backpacker has to worry about little critters with sharp teeth more than bears, choose the Ursack Minor Critter Resistant Sack. Finally, pickup some Loksak Opsak storage bags, which are odor proof. If the bear can’t smell your food, he won’t be chomping on your bag in the first place. 33. Ultralight Fry Pan — and Pancake Mix! Every experienced backpacker starts getting tired of freeze-dried meals at some point during their season. What’s to stop them from expanding their backcountry cooking skills? Nothing, really, except backpackers are human and sometimes humans need a catalyst to jumpstart something new. Enter an ultralight backpacking frying pan and some pancake mix that only needs water to mix up. The thing is, pancakes in the backcountry are simply fantastic — way better than you might imagine. If you package this together as a gift, we can almost guarantee that your backpacker will give it a try, too. Heavier fry pans work better, but they’re heavy. At 11 ounces, the GSI Outdoors Bugaboo is best for weekend trips, special day hikes or groups who share some cookware. For longer trips, the 5.9 oz. MSR Quick Skillet is a better compromise. Most backpackers don’t carry chairs into the backcountry, but for some trips the Helinox Chair Zero might get added to their packs. At just a pound, the Helinox Chair Zero can hold up to 265 pounds. Because it’s not exactly necessary, it’s a splurge item, which makes it a great gift idea for backpackers. It’s also a great gift because it’s astoundingly packable — you can leave it in your car or camp box, ready for anything. One more thing: If you like the idea but remain skeptical, consider the REI Co-op Flexilite Chair. It’s about 9 ounces heavier but it’s nearly as portable making it still great for keeping in the car or pickup box — and it comes in at a lower price point. Experienced backpackers usually try hard to reduce the weight in their packs. The easiest way to do this is by learning how much food and clothing they really need to take. Another way is to upgrade gear with better, lighter versions. Still, knowing how much something actually weighs is quite handy for a backpacker looking to save weight. For instance, we like Peanut M&Ms and we like Swedish Fish . . . but maybe Swedish Fish just aren’t worth their weight on the trail. The scale tells the truth. 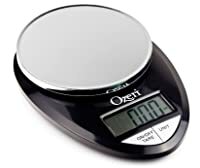 The Ozeri Pro Digital Kitchen Food Scale has been working great at Man Makes Fire for years. L.L.Bean Cresta Hiking Boots come with a legendary customer satisfaction guarantee. Backpacking boots are tough to buy for someone else, but one way to figure it out is to pay attention to praise for a buddy’s boots or simply replace the boots your backpacker already has with the same or newer model from the same boot maker. If that fails, the Vasque Breeze III gets consistently great reviews for those in warmer climates, as does the very popular Merrell Moab 2, while the stout Salomon Quest 4D 3 GTX continues to be a more hard-core winner that boasts surprising comfort for both men and women. And, as it turns out, it’s hard not to notice the excellent work Salomon has been doing these days — the midweight Salomon X Ultra 3 Mid GTX in both women’s and men’s have been nabbing praise everywhere, and we’ve had multiple wearers at Man Makes Fire appreciate the awesome out-of-the-box comfort and stability while retaining a lightweight feel. 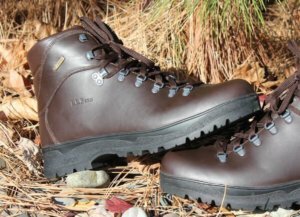 Meanwhile, if you like to kick it old-school, one of the best traditional backpacking boots is the L.L.Bean Gore-Tex Cresta Hiking Boots. They’re made in Europe, and their all-leather design forms to the shape of your foot over time, resulting in a fit that just feels like home. Because you can get them in narrow, medium or wide for both men or women, you can start off with the right width for your foot. When you add in the L.L.Bean legendary customer satisfaction guarantee, it’s a can’t-go-wrong boot that can take a beating.